Next week, NIKEiD will introduce a brand new material option for KD VI customizers. 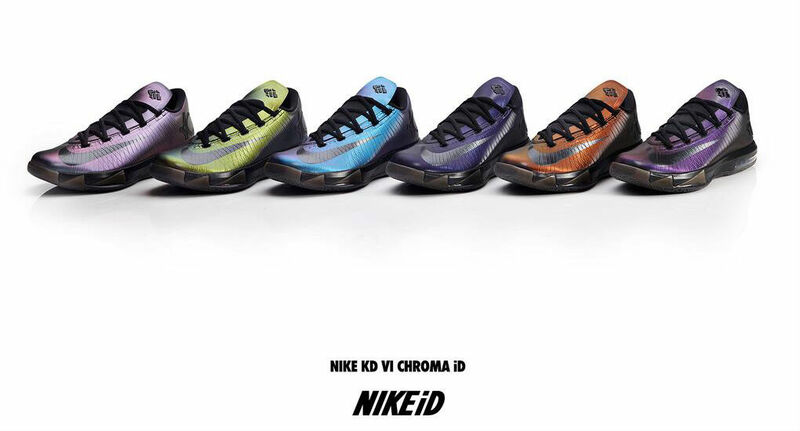 Chroma, an iridescent synthetic, will be made available in seven different colorways according to the @NIKEiD Twitter feed. The launch is set for Monday, August 12. Check out six of the options above and a video showcasing NIKEiD's latest addition below.